The Hong Kong Observatory lowered its warning to strong wind signal No. 3 from the third-highest warning issued Sunday morning as Cyclone Roke weakened after entering the inland area of China’s southern Guangdong province. The agency said tropical storm signal No. 8 is still in force, and advised the public to stay away from the shoreline. Ferry services were suspended while Cathay Pacific Airways Ltd. said delays can be expected. Cathay and Hong Kong Express Airways Ltd. said flight operations remain normal, while MTR Corp. said trains and buses are running as usual. It is the second cyclone warning issued this year. Cyclone Roke was centered about 60 kilometers (37 miles) north-northwest of the observatory in Tsim Sha Tsui district at 1 p.m. local time, and is forecast to move west or west-northwest at about 20 kilometers per hour, according to the latest update. Hong Kong’s airport authority said 56 flights were delayed as of 11 a.m. local time, according to a government statement. When typhoon Haima made landfall in China last October after brushing past Hong Kong, the city’s stock exchange was forced to cancel trading for the day, while authorities shut schools. 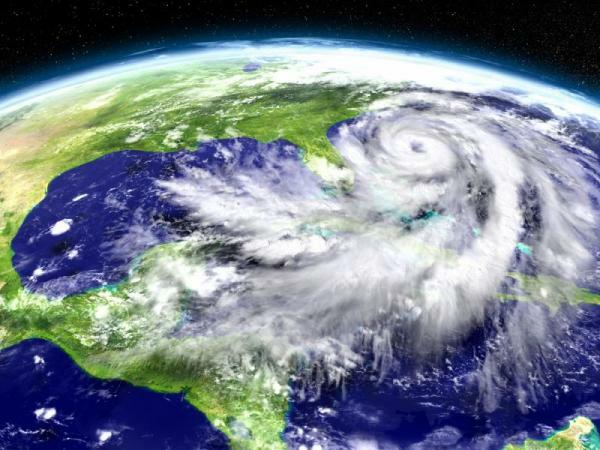 Researchers may look to the sky to better predict the devastating hurricanes and typhoons that take place around the globe every year. At a panel on the Benefits for Humanity-Innovations on the International Space Station (ISS) during the ISS R&D Conference 2017, Paul Joss, a professor of physics at the Massachusetts Institute of Technology, said by viewing cyclones at 400 km above sea level, researchers will be able to better predict their ultimate impact on human life. “The single quantity that tells you the most about how much damage and how many lives are going to be lost when a cyclone hits land is the pressure at sea level in the clear eye of the center of the storm,” Joss said during the July 18 panel. “Having accurate measurements on the strength of these storms and putting those into numerical weather prediction codes to determine how strong the storm is going to be when it hits land is of great importance in saving both human life and property. Joss estimated that better predicative measures of cyclones could ultimately save 10,000 lives and $10-billion to $15-billion annually worldwide. ISS is able to capture exactly how a storm is moving and acting from different angles, which can be used to measure the height of the clouds just outside the central eye of the storm. Researchers then would be able to create a 3D image of the eye wall—the area immediately outside the eye of the cyclone that is considered most devastating region of a cyclone. Joss explained that the problem of incorrect estimations is a global issue. He said there are dangers to both overestimating and underestimating the impact of a cyclone. By overestimating the potential impact of a storm, government entities go through costly evacuation and protection measures that may not be warranted. This also results in residents not heading future warnings of storms and risking their lives by not evacuating. Also underestimating storms results in people not following the proper precautions and risking their lives. Joss said by perfecting this method, the aim is to provide round-the-clock measurements and estimations of every cyclone across the globe. 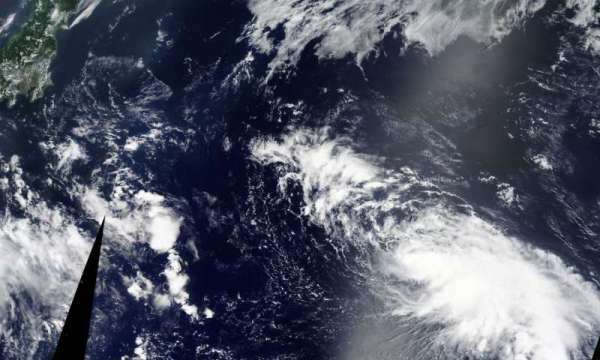 “Our ultimate goal is to fly a small constellation of four microsatellites, which will enable us to fly over every tropical cyclone worldwide every hour and a half,” he said. Joss said private capital is likely needed because each of the four satellites would needed to be injected into a very precise orbit, which could be expensive. He also said in the meantime, they plan on using drones flying about 20 km above sea level to try to capture some information. Joss said another benefit will be by creating a comprehensive dataset of information on cyclones researchers can learn about the storm, including how global warming is impacting the intensity of storms. 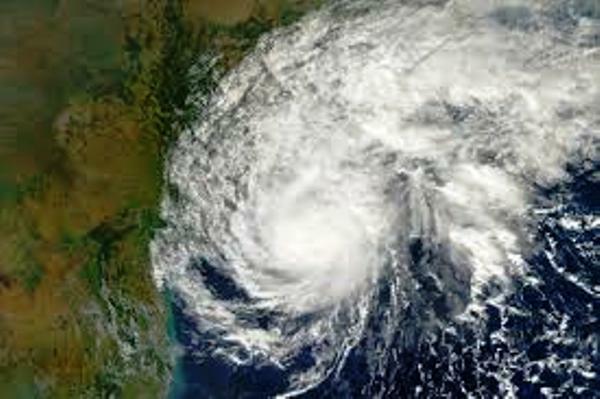 According to Joss, tropical cyclones are considered the most devastating natural catastrophe on Earth, siting the 1970 Bhola cyclone that struck Bangladesh and resulted in more than 500,000 fatalities and superstorm Sandy in 2012 that resulted in more than $70 billion in property damage. Also speaking during the panel were Randy Giles, Ph.D., chief scientists at the Center for the Advancement of Science in Space, Julie Robinson, Ph.D., ISS chief scientist, Andrew Feinberg, Ph.D., professor of medicine, oncology, molecular biology & genetics at the School of Medicine for Johns Hopkins University, Peter Wayner, Ph.D., professor emeritus at the Department of Chemical and Biological Engineering at Rensselaer Polytechnic Institute. The western Pacific is finally shaking out of its doldrums because of a pair of tropical cyclones that not only could strengthen, but could also perform a rare, bizarre, circular dance east of Japan called the Fujiwhara effect. Currently, there are two active tropical cyclones well east of Japan. 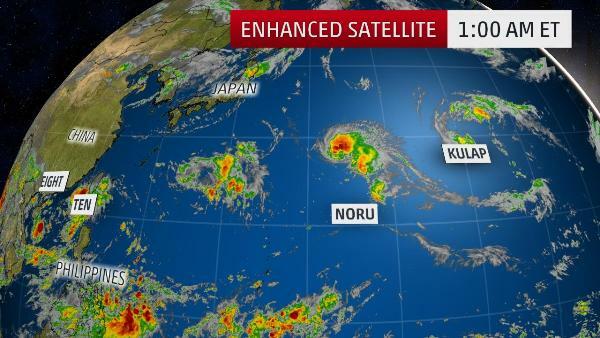 The westernmost one is named “Noru,” with “Kulap” over 1,000 miles to the east of Noru. Another active tropical cyclone, 08W, will eventually push into northern Vietnam this weekend, bringing a threat of locally heavy rain. Additionally, Tropical Depression 10W formed late Friday over the Luzon Strait. This tropical cyclone will remain weak but could enhance rainfall along the south coast of China, including Hong Kong, late Sunday into Monday. Noru and Kulap may not look impressive yet, but their future in the week ahead is meteorologically fascinating. Noru is expected to eventually become a typhoon by early in the week but will meander over the next five days well east of Japan. Kulap, however, should make significant progress toward the west-northwest and may become close enough to begin an intricate, possibly fatal dance with Noru. Various numerical forecast models have suggested Noru and Kulap may, essentially, pinwheel around each other, something meteorologists call the Fujiwhara effect. Named for a Japanese researcher who discovered this in experiments with water in the early 1920s, the Fujiwhara effect details how two tropical cyclones 800 to 900 miles apart rotate counter-clockwise about one another. Think of the teacup ride at Disney or the Tilt-a-Whirl at your local county fair, but with tropical systems instead. “The western tropical cyclone (Noru) is going to be the center of gravity, in a sense, where the smaller system (Kulap) is forecast to cyclonically orbit the larger system for a couple of days,” said Dr. Michael Ventrice, meteorological scientist with The Weather Company. Typically, the stronger storm will dominate the weaker, either fizzling it or merging with it altogether. In this case, Noru may be the stronger “survivor” of this. Ventrice said he believes Noru’s outflow will suppress convection for the smaller Kulap once they begin to interact. Some forecast guidance suggests Noru may essentially ingest Kulap, then become an intense typhoon and still remain sitting in place well into the week ahead, if not the following week. It certainly makes for strange-looking model forecast tracks. Why is this happening? Blame a clogged-up upper atmosphere. Given this blocked atmosphere, we can’t completely rule out Noru eventually creeping closer to Japan sometime near the end of July or early August. Regardless, this long-lasting tropical cyclone will churn up impressive swells that may reach not just Japan’s east coast, but may also propagate farther south and west. Not to mention, the satellite imagery from this potential Fujiwhara effect may be among the most impressive weather imagery of 2017 to meteorologists and weather enthusiasts alike. If you haven’t heard the word “typhoon” in a while, it’s because there hasn’t been one yet in 2017, and we’re nearing a record wait for the year’s first. Through July 19, there have been only four tropical storms – Muifa in late April, Merbok in mid-June, Nanmadol in early July, Talas in mid-July – in 2017 in the northwestern Pacific Basin. According to Dr. Phil Klotzbach, Colorado State University atmospheric scientist, three to four typhoons have typically developed by mid-July in an average year. Two of those typhoons would have reached at least Category 3 intensity in a typical year-to-date, as well. Since 1950, only 1998 (Aug. 3) had a later “first typhoon of the year,” Klotzbach noted. “One of the reasons for suppression of the (Northwest Pacific tropical cyclone) season to date is that we’ve generally had sinking motion across most of the basin since early May,” said Klotzbach. Stronger-than-average trade winds, blowing east-to-west near the Philippines, Taiwan and the South China Sea, have also been in place since May, Klotzbach said. This increases wind shear, which tends to either prevent tropical cyclones from forming or rip apart those that have formed. Klotzbach’s calculations indicate roughly 80 percent of the year’s activity, on average, still lies ahead in the planet’s most active basin for tropical cyclones: the northwest Pacific Ocean. NASA’s Terra satellite captured a visible-light image of Tropical Storm Noru after it formed far to the east of Japan in the Northwestern Pacific Ocean. Noru joins Tropical Storm Kulap and Tropical Depression 08W as newly formed tropical cyclones all on July 21. On July 21 at 1:30 p.m. EDT, the Moderate Resolution Imaging Spectroradiometer or MODIS instrument aboard NASA’s Terra satellite captured a visible light image of Tropical Storm Noru. Tropical Storm Kulap lies to Noru’s west, and Tropical Depression 08W is in the South China Sea and lies to the east of Noru. The visible MODIS image showed a large band of thunderstorms north and east of the low-level center of circulation. Strongest thunderstorms were isolated, east of the center. Enhanced infrared imagery showed that the low-level center was partially exposed to outside winds. At July 21 at 11 a.m. EDT (1500 UTC), the center of Tropical Storm Noru was located near 28.0 degrees north latitude and 154.7 degrees east longitude. That’s about 230 miles nautical miles north-northeast of Minami Tori Shima. Also known as Marcus Island, Minami Tori Shima is a Japanese coral atoll about 1,148 miles (1,848 kilometers) southeast of Tokyo. Noru had maximum sustained winds near 40 mph (35 knots/62 kph). Noru was moving toward the west near 8 mph (7 knots/12.9 kph). The system is expected to move west, then become quasi-stationary over the next couple of days. The Joint Typhoon Warning Center noted that warm sea surface temperatures were conducive to further development. 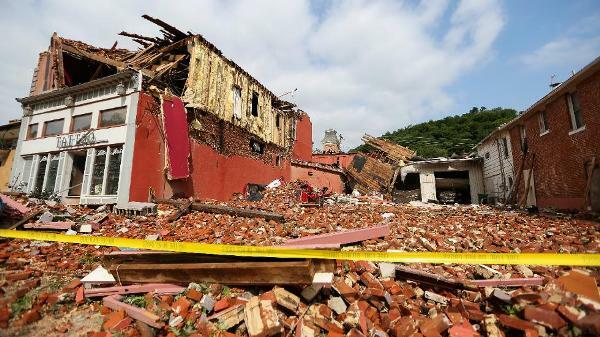 Officials in western New York declared a state of emergency after three tornadoes left damage Thursday as part of a round of severe thunderstorms that rumbled across parts of the Northeast and Midwest. The first twister received a rating of EF2 and the second, which followed within 20 minutes, was classified as an EF1, according to the National Weather Service. A third tornado, also rated EF1, was confirmed in the town of Angelica. Damage was reported at the Erie County Fairgrounds and the Hamburg Gaming casino in Hamburg, New York, after the storm, NewYorkUpstate.com reports. In Buffalo, the city court was closed Thursday due to damage from flooding brought on by heavy rains, 7 Eyewitness News reported. Erie County Executive Mark Poloncarz announced via Twitter that a no unnecessary travel advisory has been issued due to road blockages and downed power lines. As many as 13,000 homes and businesses were without power after the tornadoes struck, according to the Associated Press. Hamburg is a town of about 57,000 located about 10 miles south of Buffalo. Physicists are capitalizing on a direct connection between the largest cosmic structures and the smallest known objects to use the universe as a “cosmological collider” and investigate new physics. Millions of people, from students to rocket scientists, are poised to contribute to a massive scientific effort to study the total solar eclipse that will sweep across the United States August 21. The entire country will fall into shadow as the “Great American Eclipse” passes, though the darkest path, or “totality,” will be contained in a 70-mile (113-kilometer) ribbon that moves from Oregon to South Carolina. And with technology everywhere, from smartphones to satellites, the eclipse will be captured as never before, and will offer scientists a wealth of new insights on how the Sun works. “There has never been an event like this in human history where so many people could participate with such unique technology,” Carrie Black, an associate program director at the National Science Foundation, told reporters Friday. One of the most popular projects is called Eclipse MegaMovie, a partnership between Google and University of California, Berkeley. Its goal is to assemble images snapped by students and other amateur observers along the eclipse path, in order to create educational materials depicting the 93-minute eclipse across the country. 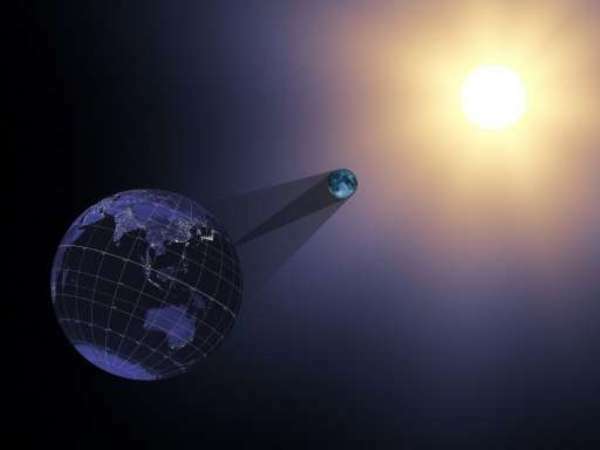 Another project, called the Citizen Continental-America Telescopic Eclipse (CATE) Experiment by the National Solar Observatory and the University of Arizona, will engage in a kind of relay race. Volunteers from universities, high schools and national labs will be spaced out along the path of the eclipse, using identical telescopes and digital camera systems to capture high-quality images for a comprehensive dataset of the event.